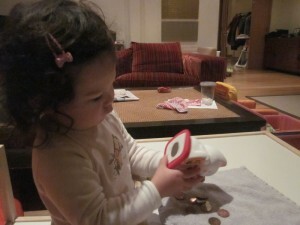 OK, let me explain… this is not about teaching my daughter to save money (!) 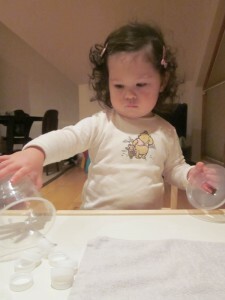 but to make her use her fine motor skills. 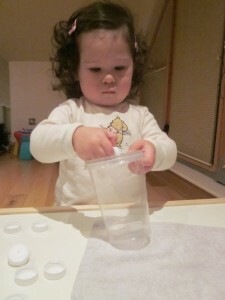 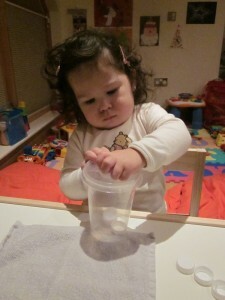 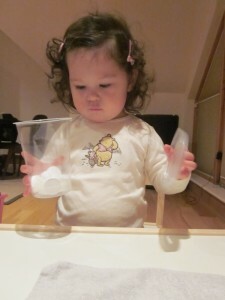 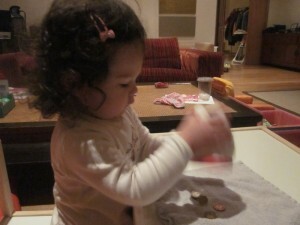 I introduced this activity about a month ago and the first time, that’s all she did for a whole hour: inserting coins or caps/ emptying the piggy bank or the cup herself and starting all over again and again! 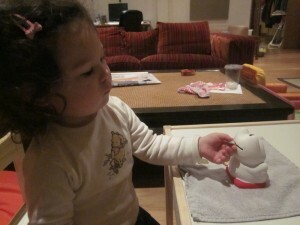 Now, she still loves it but it does not attract her attention as long.